Time to Reassess your Study Habits? Nine Points to Consider. Are you beating yourself up after Block One? Saying, “should ‘a, could ‘a, would ‘a done better …BUT … if only _________(fill in the blank)”. What is your excuse? Maybe it is time to reassess your study habits? 3. 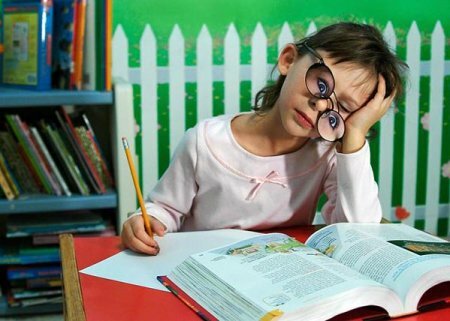 Location: Research shows that studying a certain piece of information repeatedly is good, but that studying it repeatedly in different surroundings is even better (Sasanow, 2010). So review that lecture power point in the LRC , then read it over again while studying in the library, then of course learn it during the lecture, then review it again at home. The research shows that if you learn something in multiple settings it will stick with you better as your mind is not connecting that piece of information with only one particular location or environment (Carey, 2010). 5. Practice Review: “But I read the textbook!” But you didn’t really get it did you? While you were reading did you periodically stop and think about what you just learned? How did it relate to what you already know? Write down the key points and concepts you managed to extract from what you just read and then try to explain them, teach them, to yourself. Then go back and re-read the section again, refine your notes then meditate some more on the points. “…high-achievers spent significantly more hours/week on self-study (…and) scored higher on 3 factors which measured aspects of deliberate practice – planning, study style and motivation.” (Moulaert, 2004) The Moulaert study also showed that high achieving students owned more books and read more articles! So make good use of our library resources and our online medical literature databases. 7. Practice questions: “I am sure I got that now, I will remember that!” Now you need to test yourself so you are sure you own the material! Research reports that students who stop at point #5 can harbor “the illusion that they know the material better than they do” (Belluck, 2011). It also shows a further significant benefit to learning through testing, and the use of practice questions, even when students get the questions wrong. Note this reader’s comments: “During medical school we were also encouraged to "do questions" to prepare for both our institutional exams, as well as for the national licensing exams. In fact, there are large on-line 'question banks' and 'question books' that are available for purchase and everyone knows you need to do those to pass. The conventional wisdom is that if you do all the questions from the past 5 years of books, you'll pass the exam. I don't know why it works, but it does. These are NOT questions that you will see again on the exam so it's not a case of just memorizing the right answer.“ “While students have many different ways to study, which includes reading the text book, students can perform well on examinations using high yield review books and practice exam questions as resources. Students who used practice clinical vignette-type questions on average scored 5 points higher than the class average.” (Wenger, 2012) Have you started using Exam Master yet, or the many review books available to you in the library? 8. Test Taking Strategies: Learn key test-taking strategies and the anatomy of multiple choice exams, by attending the study skills lecture to be given by Sue Simon, in the UMHS Auditorium on Wednesday, October 24, 2012 at 12:30 pm . Also take note of these “Tips for Success: Mastering Multiple-Choice Tests”. 9. Manage Stress: “But I am feeling so tired!” Research demonstrates that “stress symptoms, such as fatigue, sleeping problems, anxiety, irritability and depression, were common (during undergraduate medical training).” Some other common symptoms of stress to watch out for are abdominal pain, nervousness, headache, dizziness, and pain in the neck, shoulders, or lower back. (Niemi, 2006) Learning to manage your stress early on will prevent more serious problems later, such as possible burnout. “Burnout is a psychological syndrome of emotional exhaustion, depersonalization, and impaired personal accomplishment induced by repeated workplace stressors. Current research suggests that physician burnout may have its origins in medical school.” (Mazurkiewicz, 2012) Don’t hold back from availing yourself of our campus counseling service for any extra support you may need to help get your stress level under control! Barak, L. (2012). Multitasking in the university classroom. International Journal for the Scholarship of Teaching and Learning, 6 (2) http://academics.georgiasouthern.edu/ijsotl/v6n2.html. Fried, C. B. (2008). In-class laptop use and its effects on student learning. Computers and Education, 50 (3), 906-914. Karpicke, J.D., Blunt, J.R. (2011). Retrieval practice produces more learning than elaborative studying with concept mapping. Science, 11 February 2011: 331 (6018), 772-775.Published online 20 January 2011 [DOI:10.1126/science.1199327]. Kraushaar, J. M. and Novak, D. C. (2010). Examining the affects of student multitasking with laptops during lecture. Journal of Information Systems Education, 21 (2), 241-251. Niemi, P.,Vainiomäki, P. (2006). Medical students' distress--quality, continuity and gender differences during a six-year medical programme. Medical Teacher, 28(2), 136-141. Mazurkiewicz, R., Korenstein, D., Fallar, R., & Ripp, J. (2012). The prevalence and correlations of medical student burnout in the pre-clinical years: a cross-sectional study. Psychology, Health & Medicine, 17(2), 188-195. Pugsley, L. (2009). Study effectively. Education for Primary Care, 20(3), 195-197. Wenger, S.L., Hobbs, G.R., [et al]. (2012). Medical students study habits: Practice questions help exam scores. Journal of the International Association of Medical Science Educators, No. 4, n.d. Retrieved from the association’s website. http://www.iamse.org/artman/publish/printer_500.shtml . "Winning at Multiple Choice Exams". Consistently turn the work you have done into great exam results. The lecture will be held on Wednesday, October 24, 2012 at 12:30pm in the Auditorium. What Really Is the Best Way to Study? 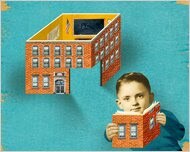 A recent New York Times article (by Benedict Carey, Sept 6, 2010) makes a very interesting read as it challenges many of our commonly held beliefs regarding the best way to study!